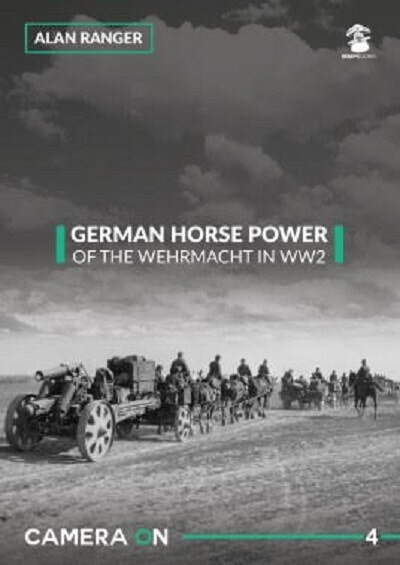 ​This new photo album, one of first in the MMP/Stratus "Camera On" series, contains 180+ photos of the horse-drawn elements of the German ground forces. MMP is based in the UK. They have all their books printed in English by their associate Stratus in Sandomierz, Poland. Stratus also does their own series of books in both the Polish and English langurages. This book is soft-cover of 80 pages in 8 1/2" x 11 3/4" page format. It contains 138 black and white wartime photos of horse drawn vehicles. I want to thank Casemate Publishing who sent me this review sample and also Roger Wallsgrove, Editor-in-chief of MMP.